I want my website Home page in Arabic Language . i can doit , i'm from syria. 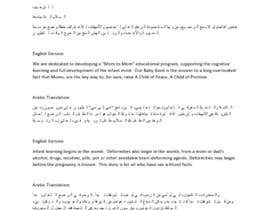 I am from Egypt.My native language is Arabic.Give me a chance to do it. I'm from Tunisia and interested.